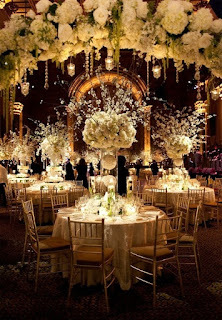 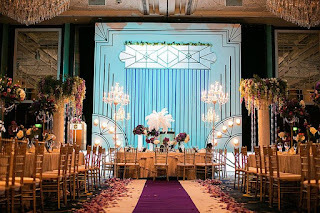 "Time to drink champagne and dance on tables", after your wedding ceremony is over all you are thinking about is celebrating with friends and family. 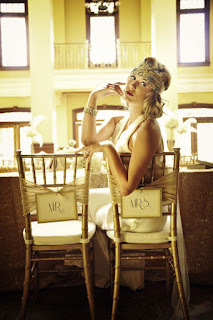 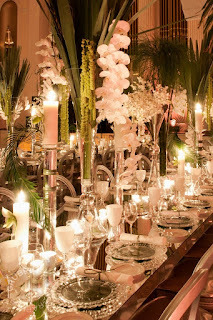 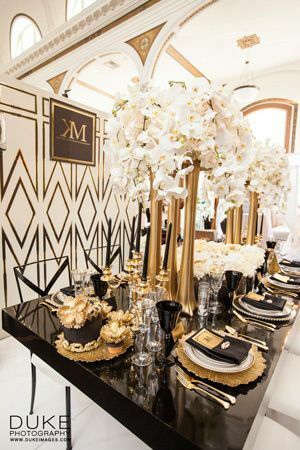 Hosting a Great Gatsby themed reception is a fantastic way to get your guests dancing and feeling like they are celebrating in a different era. 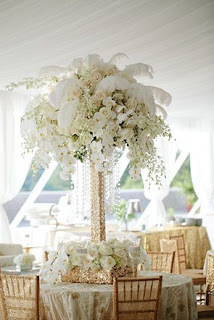 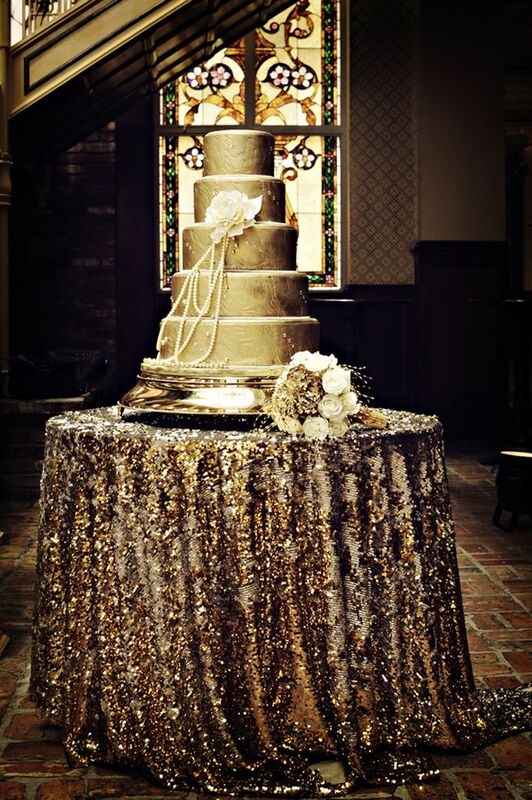 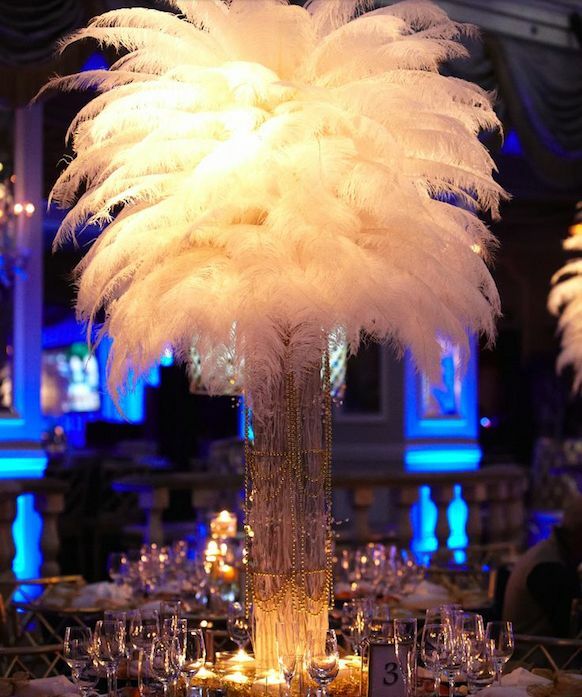 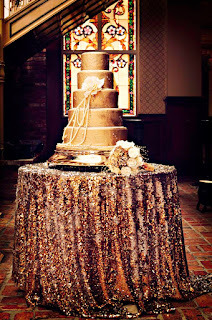 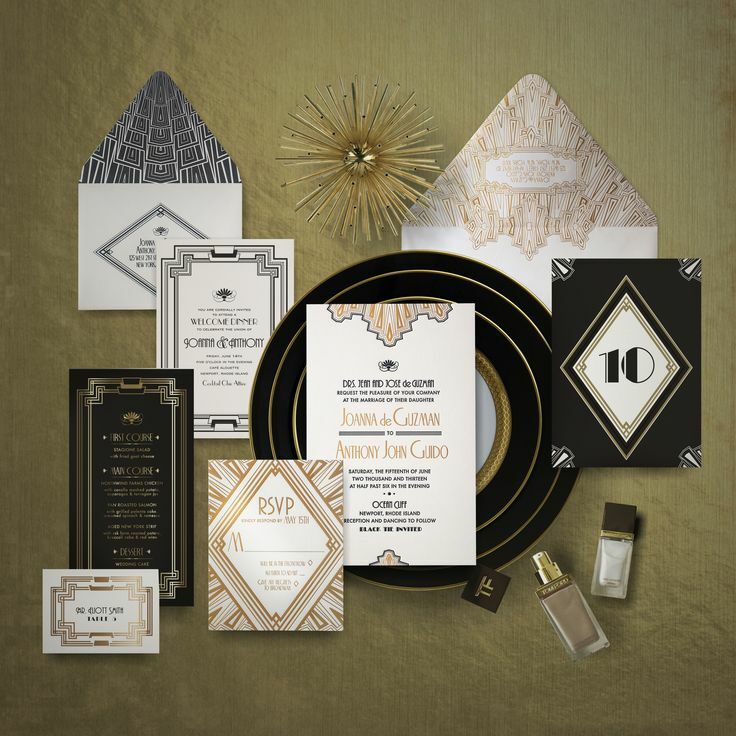 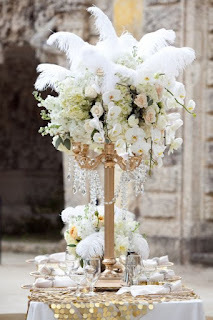 Incorporating elements of crystals, pearls, feathers and art deco together with colors such as champagne, white and black are great ways of bringing this theme to life. From the moment your guests walk in, to the last song of the night, your friends and family will have a night they will never forget.